Equilar | Corporations to Lose $92 Billion in Tax Deductions—Will It Matter? Corporations to Lose $92 Billion in Tax Deductions—Will It Matter? REDWOOD CITY, CA (January 24, 2017) —The recently-passed Tax Cuts and Jobs Act will have sweeping implications for corporations across the U.S., most notably in the form of a reduced corporate tax rate. One of the biggest changes, however, will be the loss of nearly $92 billion in aggregate across the Russell 3000 in tax-deductible executive compensation, according to a new report from Equilar, featuring commentary from Fidelity Stock Plan Services. 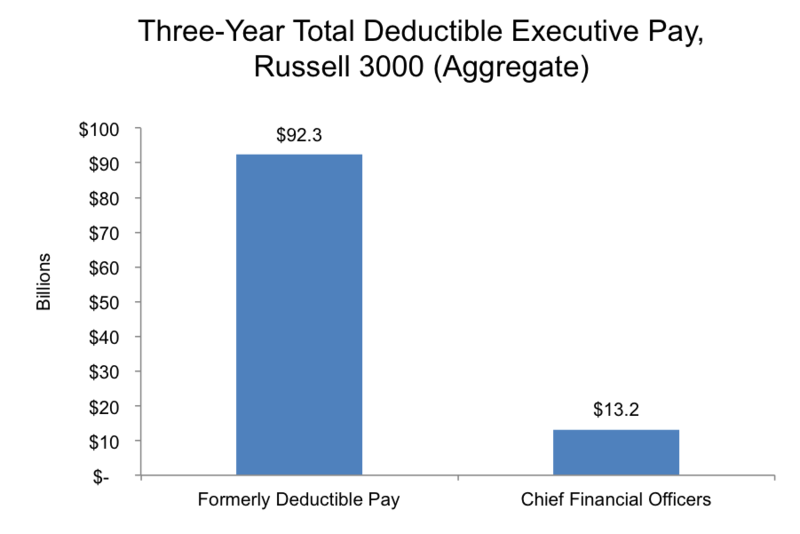 Equilar examined executive compensation data from SEC filings for the Russell 3000 index over the last three fiscal years to gather a sense of how much compensation corporate America was able to deduct in recent years under the 162(m) provision—and how much they will be giving up now that it’s gone. Across the index, that totaled $92 billion, and would have included an addition $13 billion if CFOs had been included under 162(m). 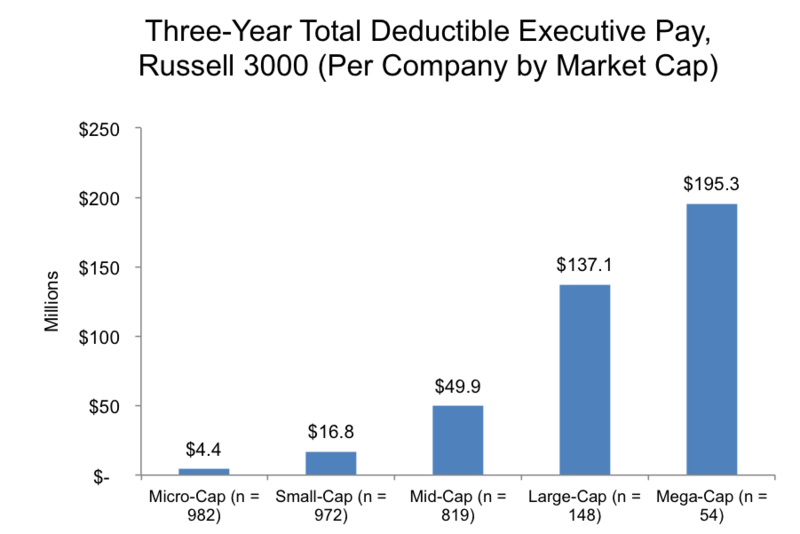 On a per-company basis, the value of deductible compensation widely varied based on size. Because larger companies are more likely to offer performance-based equity awards to their executives (and those awards are likely to be larger given higher-valued shares), total deductible pay increased in direct proportion to market cap by a considerable margin. Even though these numbers are eye-popping, and account for a considerable reduction in tax deductions, don’t expect to see performance-based compensation going anywhere any time soon. Certain assumptions were made to arrive at an estimate of such tax deductions. Non-equity incentive plan compensation (cash awards typically paid as annual bonuses) was added to the dollar value realized upon the exercise of stock options and vesting of restricted stock awards and aggregated for the three most recently reported fiscal years. Time-vesting restricted stock awards or units were assumed to be granted from a 162(m) eligible share pool, meaning that despite their lack of performance links, companies were still able to deduct vested shares over the 162(m) cap.